Game Cameras | Trail Cameras – What to get? It was a while back when I watched Ghost Adventures, and I saw Zack with a Moultrie I-40 Game Spy camera. I picked one of those up and used them on various investigations. It’s a great game trail camera. I get a few emails asking about what is a good game camera to get for paranormal investigations. I think when you’re ready to purchase a trail camera you need to ask yourself a few questions. – What are my features? (video, IR, water proof, storage capacity, ease of use, built in viewer, sound, etc). – What is my budget? Once you have these defined, you can start shopping and looking around. For some of you that aren’t familiar with game cameras at all, then I’ll break down some of the features needed. You should have a camera that IR (infrared). It needs to shoot in the dark as well as in the daylight. Video is nice to have as well, but not necessarily required. Video will use more of you SD card, etc so you need to plan ahead with that. Some cameras actually shoot HD video and record sound. This will definitely use more memory and you’ll need to consider that for long investigations. I purchased the Moultrie Game Camera because it records time and temperature as well as lunar cycle. I like the temperature, especially during investigations people will discuss how cold the room has gotten. 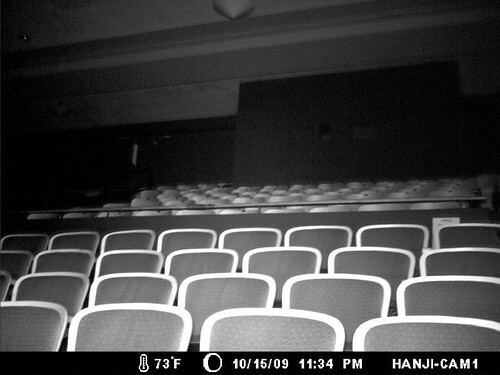 With the game camera in the same room, you can verify temperature drops. I would also look at the megapixel of the images. You want good quality images when reviewing evidence. The higher the better, but also understand the higher the megapixel or MP, the higher the cost of the unit. Now-a-days cameras are getting smaller and smaller, which is great. If you’re team is wanting to cover a large area or multiple rooms, a trail camera is a great asset to have in the investigators toolbox. You should expect to pay between $100 – $200 for a quality camera. Obviously you can pay much more and get deals below $100, so like I mentioned above, first get your requirements in budget in place. That will help with your decision. If you’re looking to purchase a game camera, check out GameCamerasOnSale.com which is a great place for locating deals as well as seeing images and video in the blog. It’s a great way to see what type of footage a camera is capable of. Note – most of these will be images of wildlife, but you should be able to get an idea of what the camera can and can’t do. The KPAX news crew was at the Rankin Hall investigation with us, but I never knew what came of that as far as coverage. Googling around today, I found that there was a news story on line “University of Montana campus ghost hunt“, which goes in to the hunt, as well as a video segment. It’s pretty cool to get some exposure, I hope it helps our group find some more locations! Looking forward to the finale of Missoula ZooFM 107.5 ghost hunts tonight. I’m still in the dark on the location, but it’s sounding like it’ll be a new location. Hi! Welcome to Montana Ghost Hunter! Coyotewalker on EMF Pump Phase 2 – Success! Mike Mazzeo on Game Cameras | Trail Cameras – What to get?